The oldest Slovenian seaside resort of Portorož has been well known from ancient times for its mild winter temperatures and gorgeous summer days. 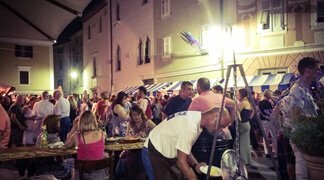 Still today the climate of Portorož is suitable for hosting events from the early spring until late autumn including the possibilities for different sea activities, including the exploration of the Slovenian Istria Region, known for its culinary heritage and summer evening events. The destination exudes a a resort feel, with all major hotels within walking distance of the beach, and is the destination for those looking for, sun, fun and a creative tailor made program. 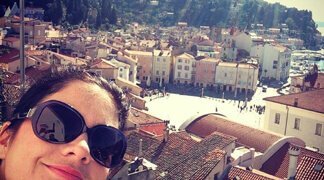 Another not to be missed destination is Piran, the pearl of Slovenia’s coastal towns, situated on a peninsula jutting out into the crystal clear Adriatic Sea dominating the area. Entering Piran, you will feel the bustling atmosphere of a lively medieval town, owing its prosperity to the lucrative salt trade . The area is rich in cultural heritage and living history, visit the Piran salt pans, experiencing today how salt was produced in this are now a protected area. The Slovenian Coast stretches also into the hinterland, where small villages decorate each hill top and produce some of the region’s best olive oil and wine, bringing to life the areas culinary heritage and adding a new dimension to any visit of Piran and Portoroz. Portorož is Slovenia’s largest seaside resort town with perfect conference facilities for your events. The Slovenian coast is the ideal conference destination easily accessible by air and land with a temperate climate and great infrastructure. Conference facilities can be found within the Hotel resorts accommodating up to 750 participants. In addition to conferencing, the destination offers variety and possibility of experiencing its traditions in a modern and active manner either by spending a day on the beach with different water based activities or taking part in a gastronomic adventure sampling truffles and wine. Unique off site dinner options are also available to complete the event. 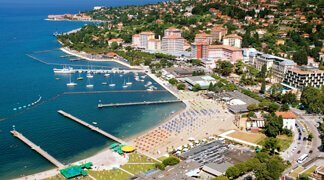 Portorož beach stretches along the majority of the Portoroz seaside, which makes it ideal for the organizatione of selected water activities activities and team building programs weather on the sea or land. Based on program requirements we can create full day or half day team buildings and activities, under the professional leadership of our experienced team. 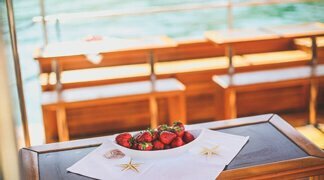 With the rental of a larger boat, suitable for hosting the group, a water station platform is created, allowing everyone to enjoy the sun, amazing seafood lunch and lounge music. A sailing boat regatta can be organized in front of Portoroz or Izola with each team compete for the best time and the win. 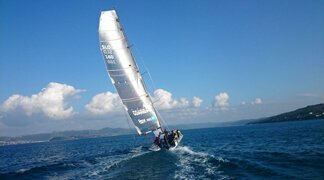 The event can be enriched with an overall organization of the day, all in the match race spirit. A morning welcome with light refreshment and introduction to the sailing and basic rules of regatta, followed by the embarkation to the sailing boats. Once the match race is finished, return ashore where a light lunch will await you. Last but not least will be the award ceremony, which will declare the winning team, postpone the announcement of the winner and make the evening event even more memorable. Once the match race is finished, return ashore where a light lunch will await you. Last but not least will be the award ceremony, which will declare the winning team, postpone the announcement of the winner and make the evening event even more memorable. 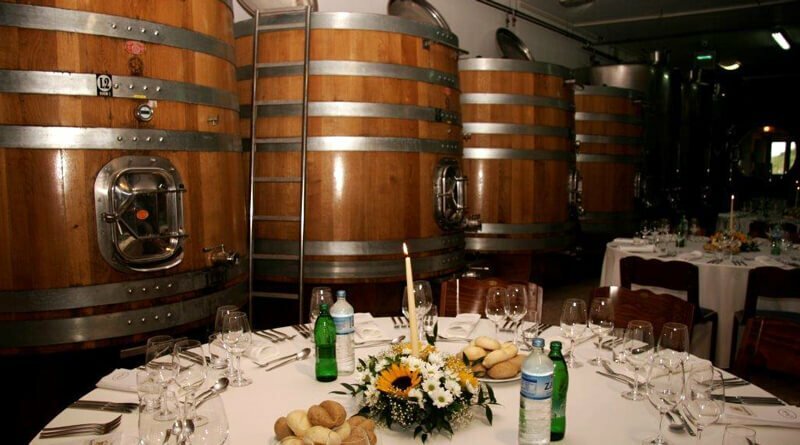 Slovenian Istra is home to a vast range of top quality wine producers. The boutique wineries are mostly family owned, with hard work and love for the land infused in every bottle. 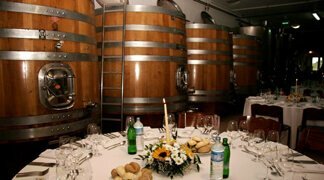 A day event can be organized in each winery where wine tasting can be the main happening. 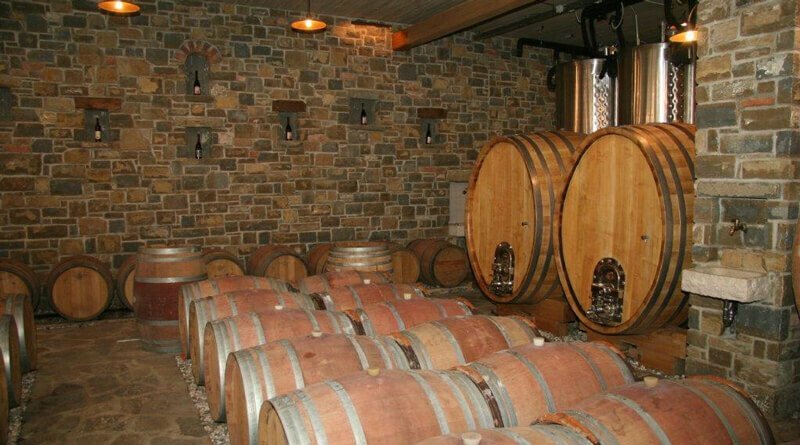 The teams can challenge themselves or simply enjoy in the wonderful atmosphere and delicious wine. Enjoy the Slovenian sea with an active group activity. Be responsible for providing the catch of the day to be prepared for lunch. 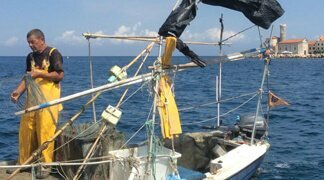 Introduced to the basic of fishing and what speicies are home in the Adiraitic Sea, the next step is a hands on approach to handling the fishing equipment, bait and all. A group of fishermen will be at available for assistance . Regardless of the catch, enjoy the fresh sea breeze and wonderful seafood lunch before returning back to the Portoroz with a new batch of fishing tall tales to tell. The Slovenian Coast is crisscrossed by a extensive network of scenic biking paths, which connects the Coastal towns and proceed itwards Croatia and Italy on the other side. 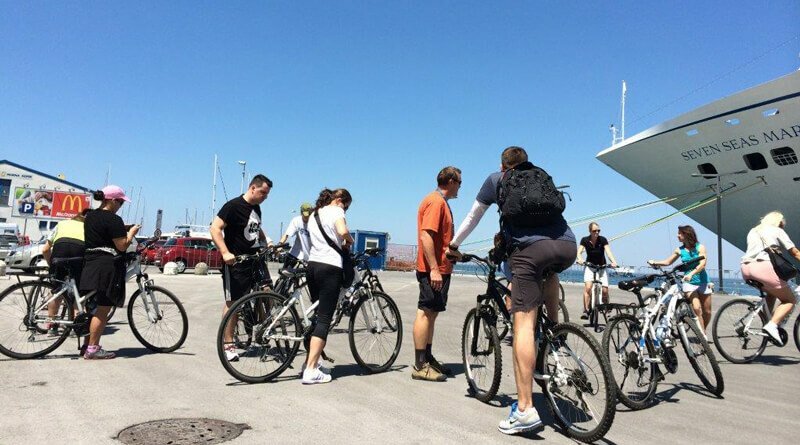 The location of the bike paths can be used not only for a biking tours, but also fora biking themed team building programs. 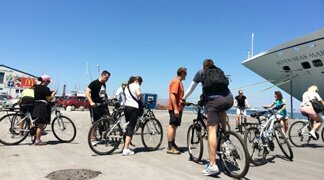 The biking tour can be augmented with luch to create a full day activity or as a scaled down to a half day sightseeing experience. With different stops and knowledgable local guides learn about the history and cultural areas to be explored. 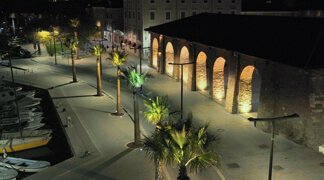 Discover Piran from a different angle. By using the town as a scenic backdrop. And with the assistance of our team, perform predetermined tasks which can of course be in line with your company’s mission, then documented outcome with the most innovative selfie. Once ready, post all the pictures on an istagram account and hashtag them with your company name and event. The Slovenian coast an array of venues that are idealy suited for hosting a diversity of evening events. Each town is home to historical buildings, open air locations and restaurants, all available for privatization in accordance with themes and needs of each individual program. Located on the waterfront, the Tartini Theatre is a superb location for a gala event. Built in a neo renascence style with a historical vibe, its rich interior and unique ceiling decorations create a special atmosphere that amazes guests. The stage can be home to a unique artistic performance, while the guest enjoys their sumptuously catered meal. Because of its unique location, guests can arrive in Piran also boat docking within only a few steps of the theatre leaving an even more spellbinding impression for this special evening. 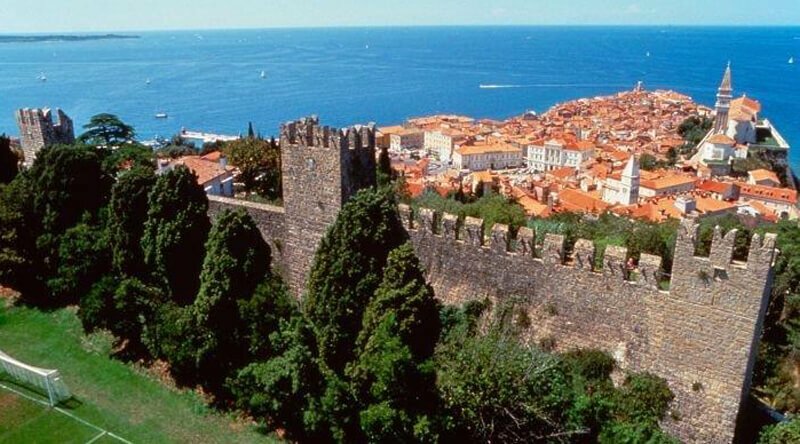 The Piran City walls dominate the town and offer one of the most breathtaking sites in Slovenia. Enjoy a sunset cocktail accompanied by a musical performance under the open sky, after your day in the conference room. The effort invested in climbing the walls will be rewarded several fold once the extending panorama and glorious sunset is experienced. Located just under the mighty St. George cathedral and its Bell tower in Piran, the bishops garden is suitable for an evening event. Equipped with the stage an artist performance can be set along the catered dinner. The location itself, unlike it name is very modern with a green grass patio. 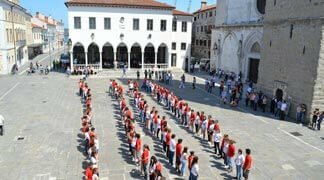 Located directly next to Piran’s most renowned square, the Coastal Galleries are home to the the town’s contemporary art collection. 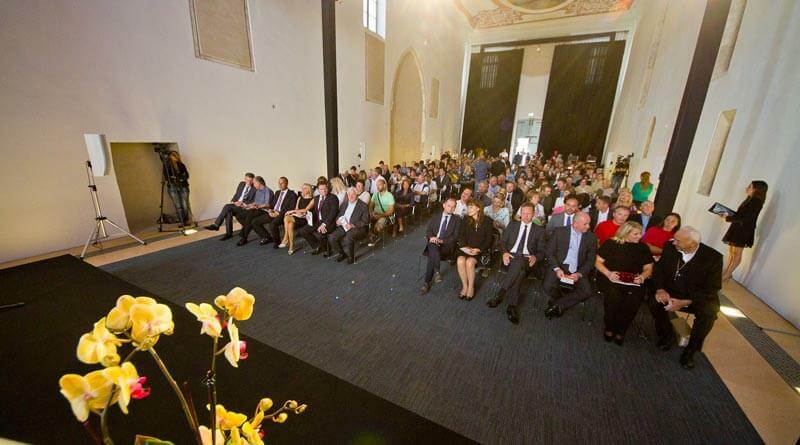 Each year they organize the biggest international Extempore in the region, which hosts more than 500 participants. 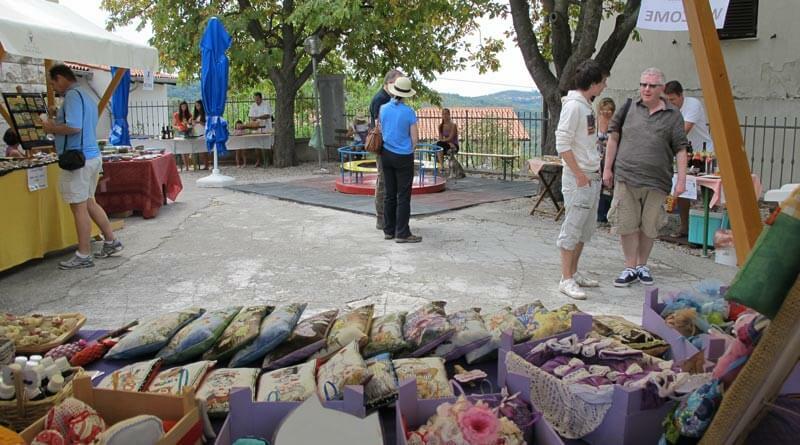 Piran transforms into an open air atelier and attracts visitors from all over the world. The gallery interior is suitable for a catered gala dinner. 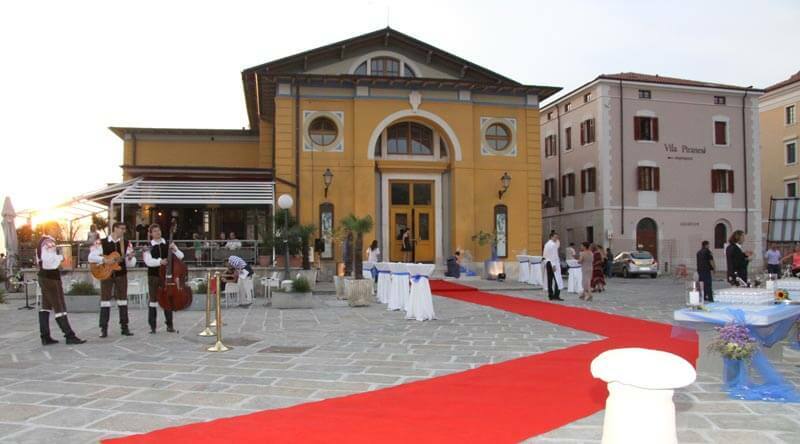 An old salt storage hall located half way between Portoroz and Piran is ideal to complete the story of salte with a themed gala event. Its interior is still authentically rustic and humble, emphasizing the heritage of salt production and it’s trade. A themed dinner and the art program are a wonderful way to explore the wealth for these crystals (salt) once so prized. Wineries are a perfect location for a gala dinner or an outdoor summer dining event. From an open air picnic to an open air club, the possibilities are only limited by the imaginaiton. Enjoy the natural environment along the wines that are produced form the surrounding vineyards. Why not be immersed in the rich fisherman’s heritage of the town of Isola. 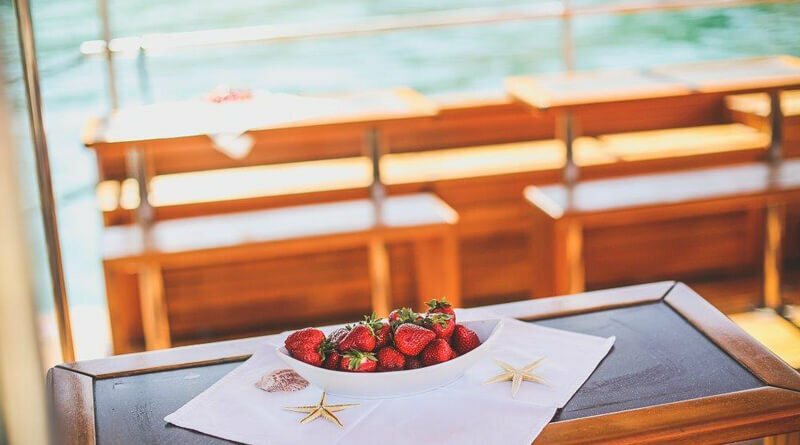 Specially organized and exclusive this open air event, features stalls with show cooking and wine booths allowing participants to savor the tastes and smells of traditional seaside cuisine. Not only is the atmosphere wonderful atmosphere but taking part in this real life traditional festival is truly unique. 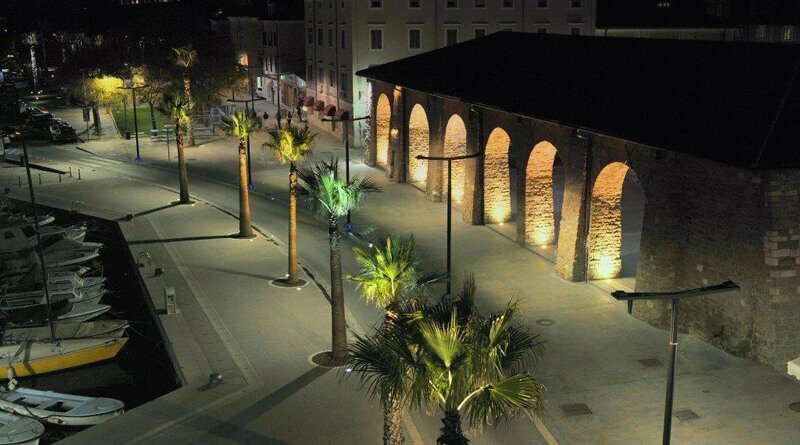 A wonderful city center open air location, in the seaside city of Koper. The views are dominated by local landmarks including Pretorian palace, St. Mary’s Assumption Cathedral and the Loggia Palace. This location is ideal for concerts, festivals or catered events for larger groups. 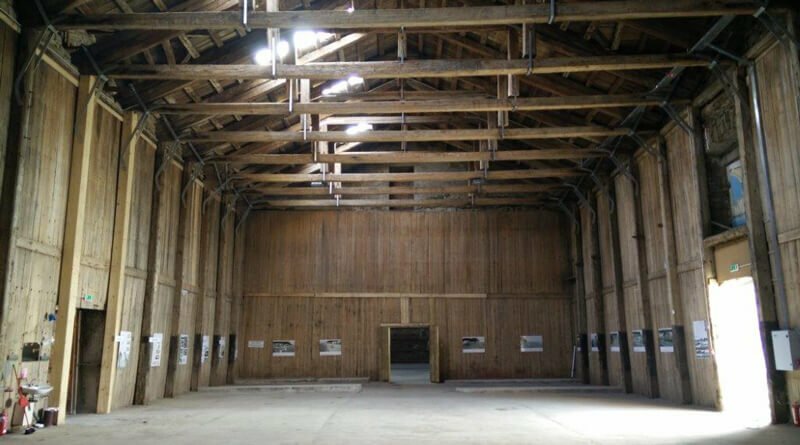 An period Venetian storage hall used for the shipment of trade goods throughout Europe is an unique location for Cultural events or catered dining. Located on the main seaside promenade it combines the city’s mercantile past with its vibrant city present. 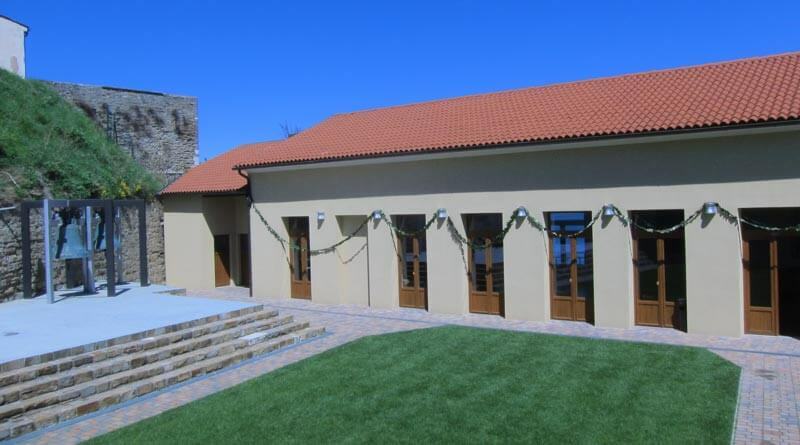 Recently renovated and equipped with all the modern facilities, this venue can be used for a gala dinner or a conference.